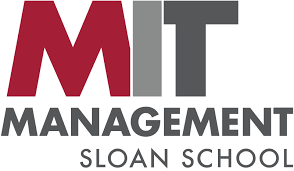 Senior executives and high-potential managers from around the world can take part in education at MIT Sloan through Executive Education programs in Entrepreneurship. The week long Entrepreneurship Development Program (EDP) targets aspiring entrepreneurs, business-minded technologists, corporate venture officials, and university and regional development leaders who want to hone their customer focus and entrepreneurial skills, and learn how to create a more favorable climate for innovation and entrepreneurship within their organization. MIT Sloan Executive Education’s non-degree executive programs are led by senior MIT Sloan faculty and provide business professionals from around the world with a targeted and flexible means to advance their career development goals, while cutting-edge leadership training enables organizations to be better poised for future growth. Exec Ed offers a portfolio of more than 40 short courses (including online programs), executive certificates, and custom programs for organizations. The week long Entrepreneurship Development Program (EDP) targets aspiring entrepreneurs, business-minded technologists, corporate venture officials, and university and regional development leaders who want to hone their customer focus and entrepreneurial skills, and learn how to create a more favorable climate for innovation and entrepreneurship within their organization. Drawing from the vast culture of innovation and entrepreneurship at MIT, this unique course introduces participants to MIT’s entrepreneurial education programs, technology transfer system, and global entrepreneurial network. It covers the entire venture creation process, from generating ideas to building viable global businesses, with a special emphasis on the nurturing roles of corporations, universities, governments, and foundations. Through lectures by senior MIT faculty, visits to high-tech startups, and live case studies with successful entrepreneurs, participants will be exposed to the content, context, and contacts that enable entrepreneurs to design and launch successful new ventures based on innovative technologies. Specially designed team projects give participants hands-on, practical experience developing a business plan, while networking events bring participants together with members of MIT’s entrepreneurial community.